Israel Hayom and i24NEWS poll gives Labor just five Knesset seats, while Feiglin's Zehut passes the electoral threshold. A poll published by the Israel Hayom newspaper, i24NEWS and the Maagar Mochot institute finds that if elections were held today, the Likud party led by Binyamin Netanyahu would continue to lead the pack with 28 seats. 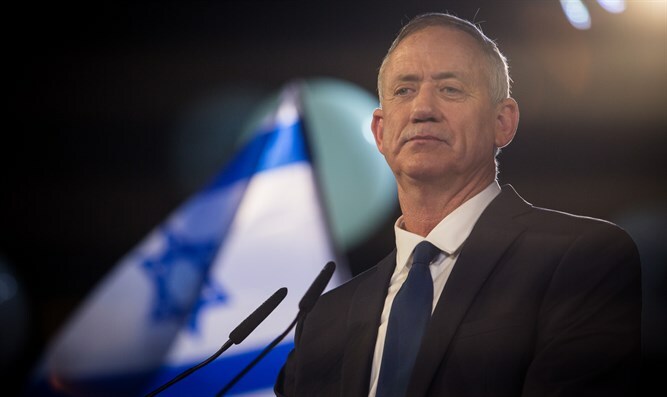 Benny Gantz and his Hosen LeYisrael (Israel Resilience) party would win 19 Knesset seats. The Yesh Atid party, headed by Yair Lapid, receives only nine seats, as does the Joint List. The New Right party of Naftali Bennett and Ayelet Shaked and the haredi United Torah Judaism each have seven Knesset seats. Kulanu wins just five Knesset seats and the Labor Party, headed by Avi Gabbay, continues its decline and wins five seats as well. Orly Levy-Abekasis’ Gesher party wins just four seats, as do Meretz, Shas, and Moshe Feiglin’s Zehut party, which passes the electoral threshold for the first time in this poll. The poll finds that Yisrael Beytenu, the Jewish Home-National Union, Otzma LeYisrael and the Ta'al faction headed by Ahmed Tibi each receive three Knesset seats and do not enter the Knesset. Tzipi Livni's Hatnua party and Eli Yishai's Yahad party receive just one seat each, and they do not pass the electoral threshold. The poll is in line with other polls from the past week, which show that Likud will remain the largest party, with Gantz’s party gaining momentum at the expense of Yesh Atid and Labor. On Thursday, Kan 11 News reported that Netanyahu is considering running together with Bennett's New Right. According to the report, Netanyahu is debating a union with the New Right as a response to Gantz's recent surge in the polls and speculation that Gantz could run together with Yesh Atid.